position yourself to negotiate and manage your contractual obligations? ensure you get paid on time for the work you do? keep disputes to a minimum? 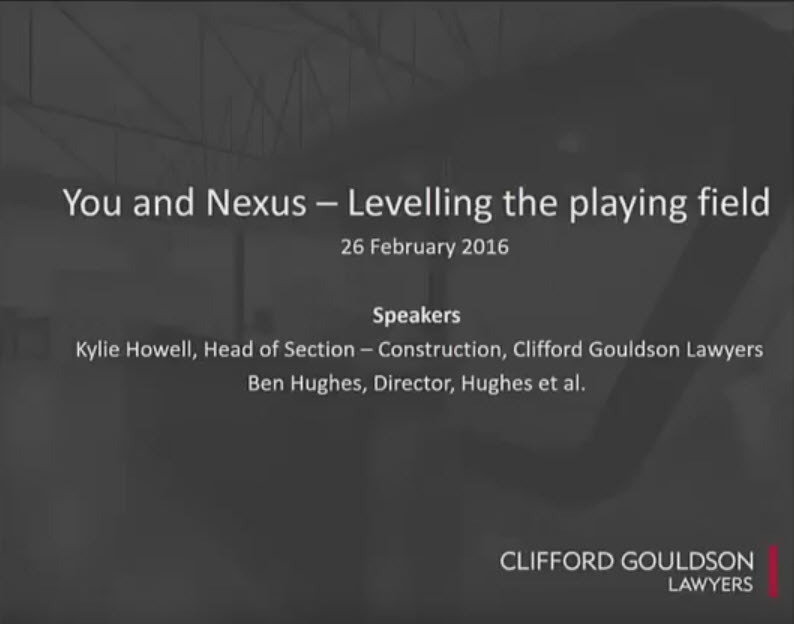 Click here or on the image below to view our catch up video by Head of Construction Kylie Howell covering the material and slides that she provided on the day. We have also prepared a concise Guide for Contractors which will help you understand the key issues involved in pursuing, securing and doing the work for Nexus on the TSRC Project. A copy of the guide is available here for download. If you would like a hard copy please contact us.